Home to surreal rock formations, multi-coloured valleys and striking underground cities, Cappadocia is located in Turkey’s Central Anatolia region. 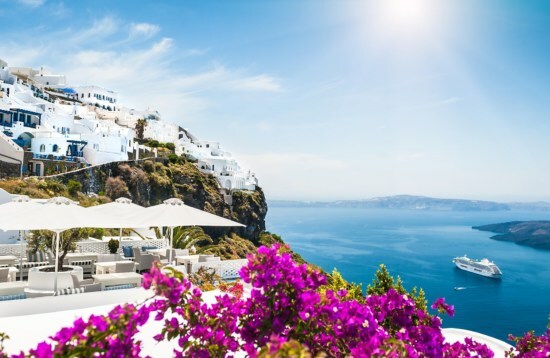 This UNESCO World Heritage Site is one of the country’s most captivating destinations, inviting visitors to explore on foot and while floating above during a sunrise hot air balloon trip. 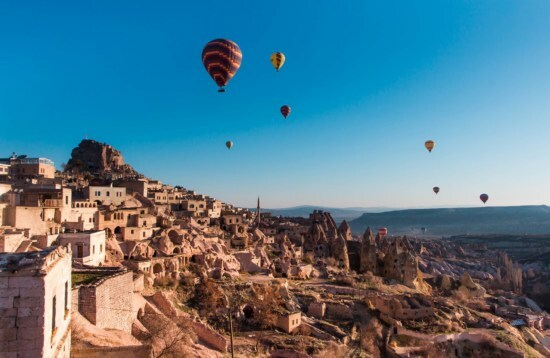 After getting an early morning, bird’s eye view of Cappadocia’s magical scenery, spend your days hiking through its spectacular valleys where fairy chimneys and mushroom-like rock formations rise above. Witness the ancient pigeon houses carved into the cliffs of Pigeon Valley and admire the three-headed fairy chimneys of Monks Valley. Go hiking through the lunar-like landscapes of the Devrent Valley, then see where pottery has been crafted since 3000 BC in the small town of Avanos. 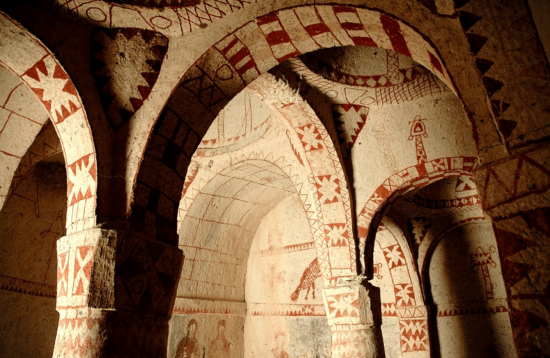 No trip to Cappadocia is complete without exploring the Göreme Open Air Museum where more than 30 rock-hewn churches and chapels lie adorned in magnificent frescoes that are a lasting legacy of an ancient monastic centre. A short drive from Göreme takes you to the sweeping Esentepe viewpoint where you can photograph Cappadocia in all its glory. Venture below the earth’s surface into the Kaymakli Underground City, just one of around 30 cities that were carved beneath the ground by Christians escaping persecution. Wander through the network of living spaces, kitchens and wineries before visiting the troglodyte town of Uchisar that’s named after an enormous rock that once served as its castle. Combining striking natural wonders with a fascinating history, Cappadocia is like nowhere else on earth. 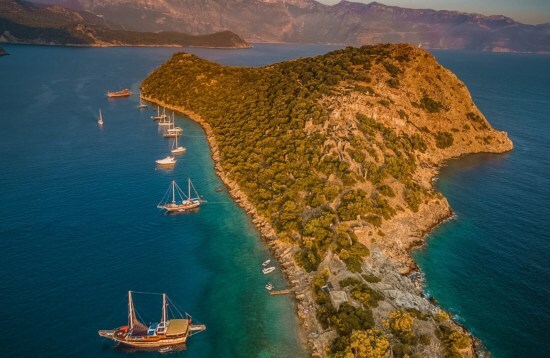 Add to that its legendary “Turkish Nights” of folk dancing, Whirling Dervish performances and lavish feasts, it’s a destination not to be missed. A truly amazing performance to witness, performed in an ancient Caravanserai that was once used along the Silk Road. 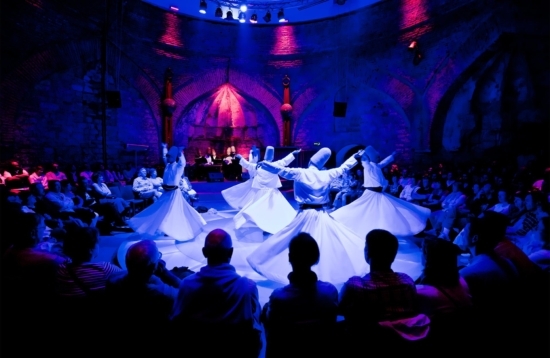 You will be mesmerized by the location as well as the Dervishes as they share their religious enlightening ceremony with you. Experience Turkish culture and traditions with fantastic performances in a huge cave restaurant while great local food, unlimited soft and alcoholic drinks are served during the night. Enjoy a longer experience floating over the magical landscape that goes below you with Deluxe Balloon flight with 1.5 hour flight time and a smaller capacity than the standard flights. 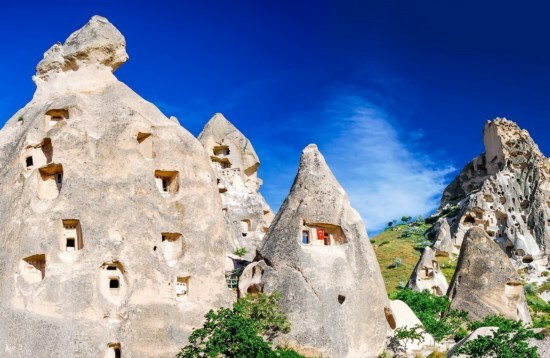 Highlights of this tour include Göreme Panorama, Derinkuyu Underground City, Ihlara Valley Hiking (one hour), Selime Monastery and Pigeon Valley. Explore the ancient underground city, Kaymakli and a scenic walk in the beautiful valleys of Cappadocia’s southern highlights. Discover the northern part of Cappadocia, the highlights include Devrent Imagination Valley, the famous Three Beauties, Goreme Open Air Museum, Pasabag, Monks Valley and Avanos. 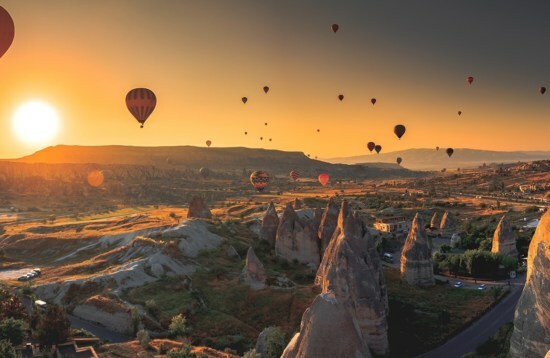 Experience floating over the magical landscape of Cappadocia and watch the sunrise over famous fairy chimneys, tuff valleys and rock-cut churches with Hot Air Balloon Standard Flight. 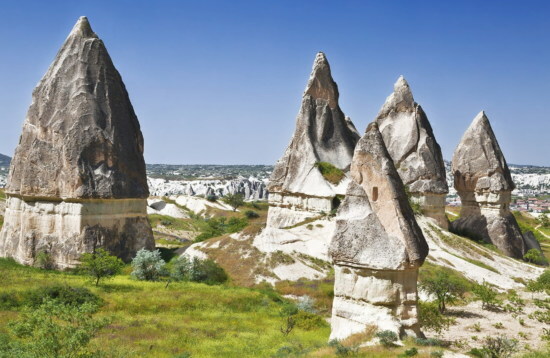 Discover the stunning landscape of the Cappadocia region of Turkey with 4-Day Best of Cappadocia Tour. Cappadocia tour package from Istanbul, Izmir, Antalya or Cappadocia Airports. 3-Day Highlights of Cappadocia Tour. Cappadocia tour package from Istanbul, Izmir, Antalya or Cappadocia Airports. 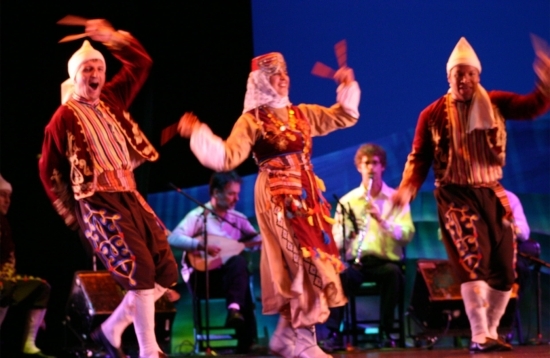 2-Day Heart of Cappadocia Tour. 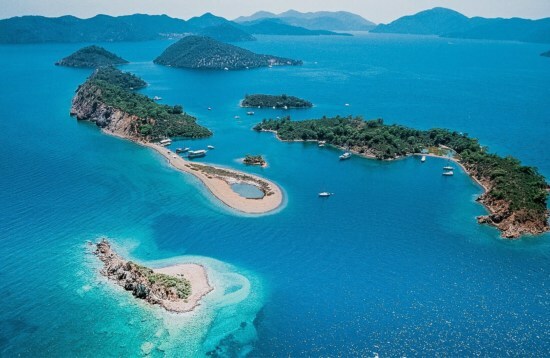 Cappadocia tour package from Istanbul, Izmir or Cappadocia Airports. 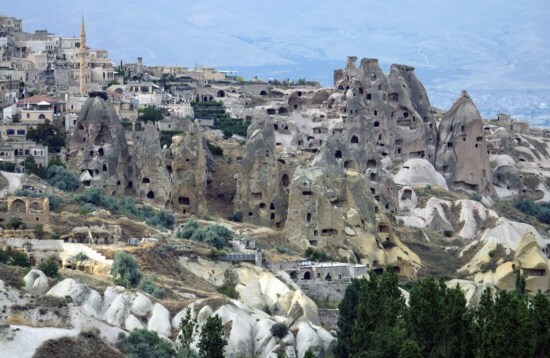 Discover Cappadocia on a tour with overnight stay. 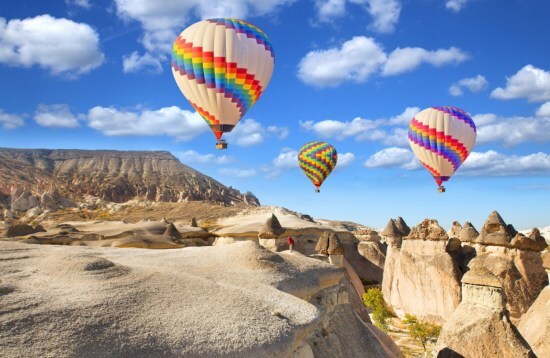 Cappadocia tour package from Istanbul, Izmir or Cappadocia Airports.